Comment: Wood fascia of flat porch roof, that attaches to the pool screen enclosure, is rotten on a corner area where rain water flows. Problem, is that it must be repaired while screen framing is held back. It appears that only a portion of the fascia, near the corner, needs to be replaced. Possibly, may only need two to three feet of the 1x12 replaced. Additionally, a 4x4 wood post that holds up the corner of the porch, is rotten near the base, and likely should be replaced. Comment: area above kitchen window has damaged siding causing rain water to leak into house and wet kitchen ceiling. Comment: I would like to get an estimate for stucco repair. Comment: I have three wood walls that need replacing or repairing. It was once a porch that was converted to a family room. The walls are weathered and the bottom is dry- rotted in many areas. Comment: Stucco is cracking and a part is sticking out. Comment: I would like to get an estimate for repairing some exterior of my house, like the soffits due to damage from the animals. I would like wood molding to be installed and the soffits repaired. Comment: The fascia board needs to be cut. It was put in crooked because it was too long. Orlando Siding Contractors are rated 4.75 out of 5 based on 748 reviews of 61 pros. 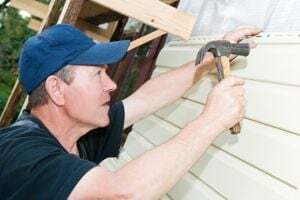 Not Looking for Siding Contractors in Orlando, FL?